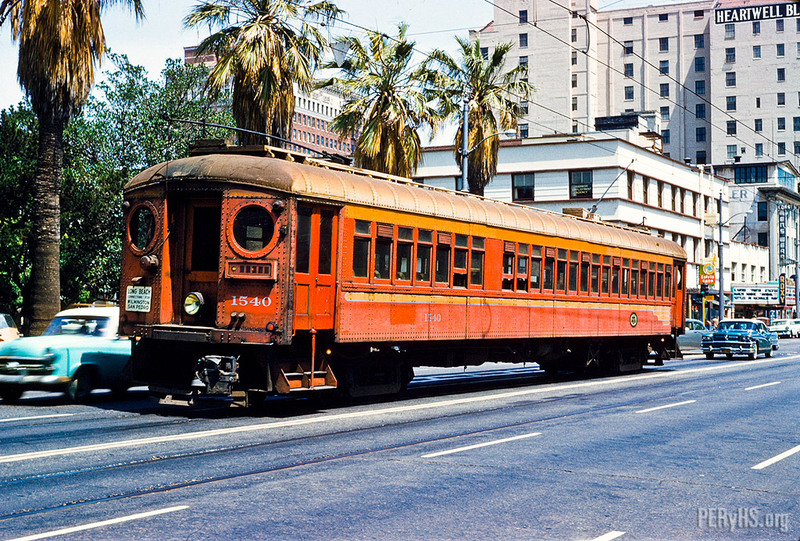 Metropolitan Transit Authority (ex-Pacific Electric) interurban no. 1540 navigates traffic in Long Beach on Ocean Avenue between Pacific and Cedar. The date is April 14, 1949. The date is probably April 1959, as the blue Ford in front of the blimp is a 52-54, and the Buick behind it is a ’58.
. . . .and the letter board is painted out and the MTA decal and renumbering is in place. . . 58 Buick Roadmaster was very cool.